The Department of Defense has thousands more American troops on the ground in Afghanistan than it has publicly disclosed, according to defense officials. 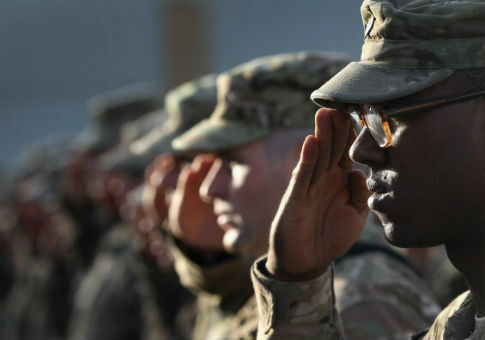 The Pentagon says there are approximately 8,400 soldiers deployed in the country, but the total is actually more than 12,000, the Wall Street Journal reports. Some 3,500 troops in Afghanistan are there on temporary assignment or another status; the Department of Defense for many years has only cited those assigned to Afghanistan on a longer term basis. Additional troops, including special forces and other specialized units, are in Afghanistan, bringing the total over 12,000, but the Pentagon keeps those numbers secret for security reasons. President Donald Trump in June authorized Secretary of Defense James Mattis to send up to 3,900 additional service members to Afghanistan. Mattis said he is currently waiting for a report from Gen. Joseph Dunford, chairman of the Joint Chiefs of Staff, to determine a plan for the actual number of new forces. "When he brings that to me, I will determine how many more we need to send in," Mattis said Tuesday. "It may or may not be the number that is bandied about." Trump laid out his administration's strategy for the war in Afghanistan, now in its 16th year, in a speech on Monday. The president indicated he would maintain troops in the country but would not discuss specific military plans. "We will not talk about numbers of troops or our plans for further military activities," Trump said. This entry was posted in National Security and tagged Afghanistan, Department of Defense, James Mattis, Joseph Dunford, Military, Pentagon, President Trump. Bookmark the permalink.